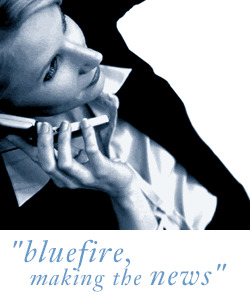 Bluefire Consulting | Engineering Support Coordinater : "customer service" "Engineering Support Coordinater"
We are currently looking to recruit a customer support advisor, who will be responsible for the co ordination and allocation of field engineering resource for our client company working in the engineering industry. Location is Tadcaster, so you should have access to your own transport or be well placed for public transport to reach the town. For this role you will have excellent communication skills with a real passion for customer service. You will be responsible for coordinating field engineers within a specific geographic region as they perform installation and service work on client sites. You will receive telephone requests for installation and removal work from customers and working alongside your colleagues on the maintenance support teams, you will create accurate job specification plans, produce Installation request forms and a provide quotes via SMS to the engineers and customers. You will be trained on all aspects of the engineering systems provided by the company and will be coordinating engineers, looking to diagnose problems over the telephone. It is also essential that you have a working knowledge of Microsoft Office, email and internet and should be used to working with an SLA / target driven environment. You should have a keen eye for detail, excellent organisational skills, be able to communicate both in spoken and written form (Invoicing and installation plans will be submitted by email) and in effect, will be the liaison between the end user customer and the internal engineering workforce. The benefits of this position include 30 days holiday, Bupa health care, Pension and life assurance. You would need flexibility regarding working bank holidays as due to the nature of the industry, bank holidays tend to be the busiest time so although you can book this time off (First come, first serve), so you should be flexible regarding the working week, which would be typically around 37.5 hours. "customer service" "Engineering Support Coordinater"